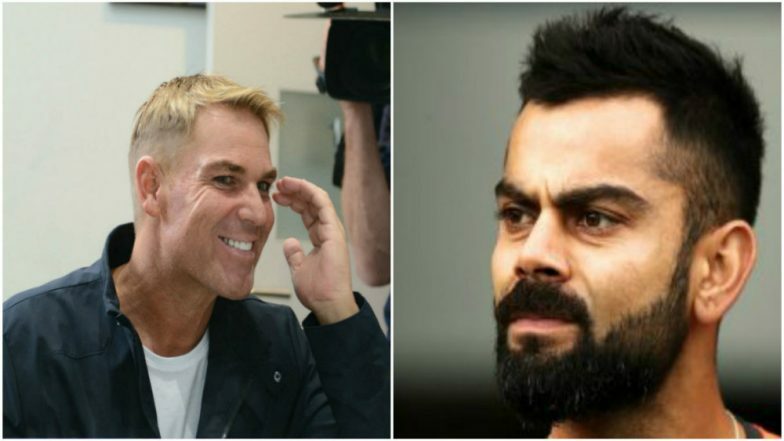 New Delhi, March 26: Kings XI Punjab skipper R. Ashwin might have called the decision to Mankad Rajasthan Royal's Jos Buttler instinctive, but that has not gone down well with RR brand ambassador and former Royals skipper Shane Warne. Taking to Twitter, Warne made it clear that he was disappointed with the KXIP skipper and the dismissal was against the spirit of the game. Ravichandran Ashwin Mankads Jos Buttler as Kings XI Punjab Beat Rajasthan Royals by 14 Runs in VIVO IPL 2019, KXIP vs RR. "So disappointed in @ashwinravi99 as a Captain and as a person. All captains sign the #IPL wall and agree to play in the spirit of the game. RA had no intention of delivering the ball -- so it should have been called a dead ball. Over to you BCCI -- this a not a good look for the #IPL," he wrote. "As Captain of your side -- you set the standard of the way the team wants to play and what the team stands for! Why do such a disgraceful and low act like that tonight? You must live with yourself and FYI -- it's too late to say sorry Mr Ashwin. You will be remembered for that low act," he wrote. Warne also pointed out how this winning games at all cost mentality has to change as an example needed to be set for the youngsters. "Last point on the embarrassing and disgraceful act of @ashwinravi99! This win at all costs mentality has got to stop and the integrity of the game along with the spirit of the game must be of the most importance, as we need to set examples to the young boys and girls playing cricket!" he said. He ended by asking if everyone would have been okay if Ben Stokes had done the same thing to Virat Kohli. He asked the Indian cricket board to look into the matter. "And to all the people (including former players) saying it's in the laws of the game, but you don't like what he did and you wouldn't do it -- I ask you this "why wouldn't you?" ! Simple answer -- it's disgraceful and embarrassing plus it's against the spirit of the game! "Sorry -- one more thing to add. If Ben Stokes did what Ashwin did to @imVkohli would it be ok? I'm just very disappointed in Ashwin as I thought he had integrity and class. Kings lost a lot of supporters tonight. Especially young boys and girls! I do hope the BCCI does something," he said.